What a great idea! 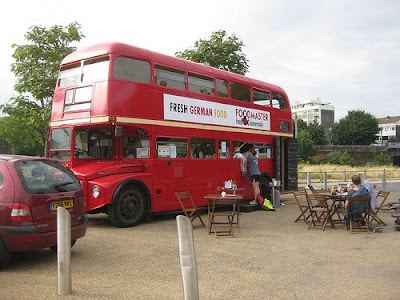 I already knew about the Rootmaster "bustaurant" but I love the fact that this one is on the move! You have to try their cake. Yuuuuuuuuumy!!!!! Great idea and great cappuccino! Great asset to Mile End park, so hope they make it a regular stop.